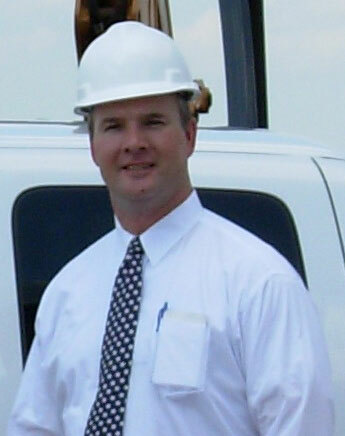 Preston Smith has over 25 years of experience in the fields of construction, development and real estate. As Chief Executive Officer, Preston performs duties associated with marketing, estimating, purchasing, contract negotiations, client relations and and overall corporate management. His service to our clients begins with gaining an in-depth understanding of their goals first and foremost. Once we have an accurate idea as to the aim of the client, Preston sets forth to build construction estimates, comprehensive budgets and detailed scopes of work in order to create a well rounded, complete and accurate financial picture that will serve the best interests of the client. Once the project progresses to the point of executing subcontracts to perform various scopes of work, careful and thorough analysis is required to examine interrelated building systems in order to produce the finished product. Preston creates the contracts which define the subcontractor’s and supplier’s scope of work. This process demands detailed scrutiny of all aspects of the project coupled with an in-depth understanding of construction law and contract language in order to provide seamless execution of your project. Over the past decade, Preston has been involved with the North Texas Chapter of Associated Builders and Contractors. He is a Green Advantage Certified Practitioner through the U.S. Green Building Council. Preston was appointed by the Fort Worth City Council to the task of serving as a commissioner on The Citizens’ Committee for Fort Worth’s Future. Additionally, He twice served as Director of the Park Glen Neighborhood Association, and served as a Board Member and District 5 Representative for the Fort Worth Public Improvement District. Preston is the founder and Director of Marriage Reconciliation Ministries, a non-profit organization. He serves as co-leader of the Marriage Reconciliation Support Group at The Hills Church in North Richland Hills, Texas. He is a Life Member of The Gideons International. Preston volunteers at Pregnancy Help 4U, a non-profit organization, and teaches the course The Fatherhood Connection at the Center. He holds a Certificate of Leader Development – National Security Strategy, National Security Seminar, from The U.S. Army War College; Carlisle, Pennsylvania and is also a member of the University of Texas at Arlington Alumni Association. Preston holds a Bachelor of Arts in History from The University of Texas at Arlington; Arlington, Texas. Michael Smith has over 30 years of experience in construction management, and as Chief Operations Officer, he is responsible for and involved in all aspects of the company’s field operations. Michael performs duties associated with preconstruction analysis, constructability assessment, project management, subcontractor and supplier coordination, and project close-out. As a client, you can expect to benefit from Michael’s direct input, from the planning and design phase through project completion. This level of involvement creates redundant accountability within our organization and provides you the client with a consistent and reliable construction management team. Michael’s hands-on approach helps to provide clear goals and expectations for each project management team, subcontracted company and material supplier. Michael’s management style is also welcomed by our clients as he continually seeks to take the particular details of a project and hold them in perspective to the big picture in keeping with the aims and goals of the client first and foremost. Serving the client is the primary aim of Marathon Commercial Construction, L.L.C. 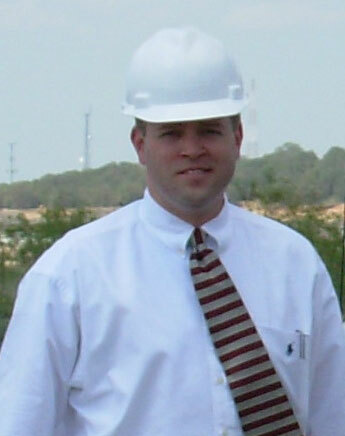 Michael’s vast knowledge of construction systems and construction management, coupled with his inherent leadership ability, work to assure you, the client, of a timely and successfully completed building project, ultimately saving you time and money. Michael has worked extensively with the North Texas Chapter of Associated Builders and Contractors prior to the creation of TEXO. He served as an ABC Board Member and has worked and chaired various committees including the Programs Committee and Education Committee. Michael also is a member of the Industry Advisory Council for the School of Construction at the University of Louisiana, Monroe. He also served on the Alumni Board and is a former chapter president. Michael holds a Bachelor of Science in Construction from Northeast Louisiana University; Monroe, Louisiana.